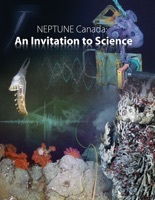 This report is an overview of activities, observations and events on the NEPTUNE Canada ocean network between 8 December 2009 and 31 December 2010 - from our official launch through the first year of operation. This report offers a glimpse of sea and subsea conditions at the observation locations based on measurements by the instruments. It highlights scientific events observed on the network, touches on scientific research facilitated by NEPTUNE Canada, and contains a summary of basic data collected at each site. This report is for scientists, both those currently working with us and new potential colleagues, educators and students, policy makers, and those who have a scientific interest in oceans. We invite you to be part of our ongoing investigation of the northeast Pacific Ocean.